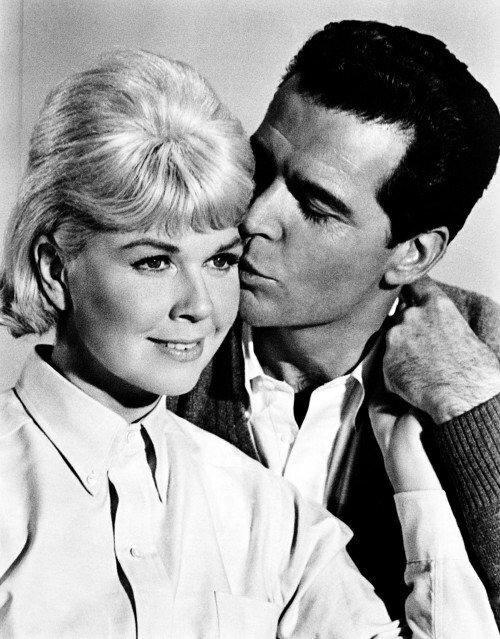 Armed with self-effacing charm, James Garner wore exasperation lightly as a linen shirt and enjoyed a substantial movie career, with costars ranging from Doris Day to Mel Gibson. 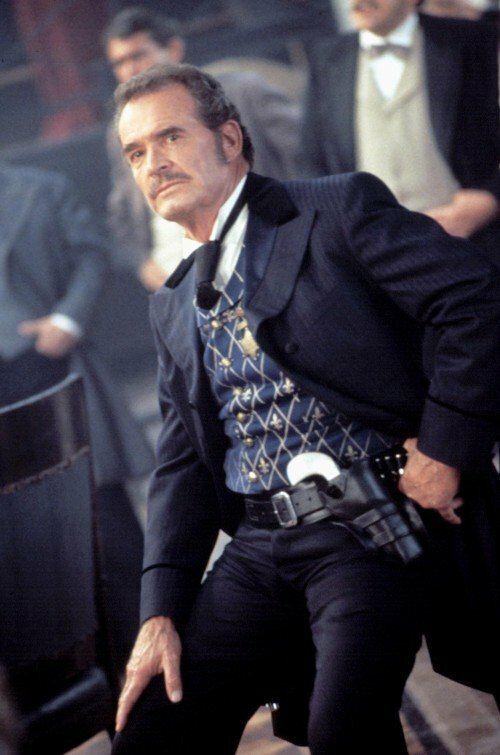 According to Clint Eastwood, who would direct him in Space Cowboys (2000), Garner — Oscar nominated for his performance in Murphy’s Romance (1985) — was the first TV star to successfully go from small to large screen, setting an example for TV talent like Eastwood to follow. Here are the essential Garner performances that his fans (and who is not?) should think about rewatching, stat. Tall, dark, and studly, Garner succeeded Rock Hudson as Doris Day’s sparring partner in lively marital comedies that showcase his crack comic timing and natural affinity for slapstick. As the overworked obstetrician wed to Day’s homemaker and mother of two, Garner is happy when the father of one of his patients taps Day to be the TV spokesperson for his soap company. Before long, Day brings home the bigger paycheck, and the two-career couple comically face off (in front of their kids) over who has the more important career. When Garner served in the Army during the Korean War (where he received two Purple Hearts), he described his unofficial role as “Scrounger.” That’s the guy who finds or improvises the necessary tools for survival. That’s also Garner’s official role in John Sturges’ The Great Escape, the rip-snorting World War II-era adventure film in which the resourceful Garner, a Yank in the RAF, aids fellow POWs in a breakout from the Stalag built to be flight-proof. In order to obtain materials needed for documents and uniforms, Garner deploys his considerable charms on a German guard. While Steve McQueen is memorable for his gutsy resistance to authority, it is Garner, whose character accompanies the near-blind Donald Pleasence to safety, who serves as the heart of this enterprise. 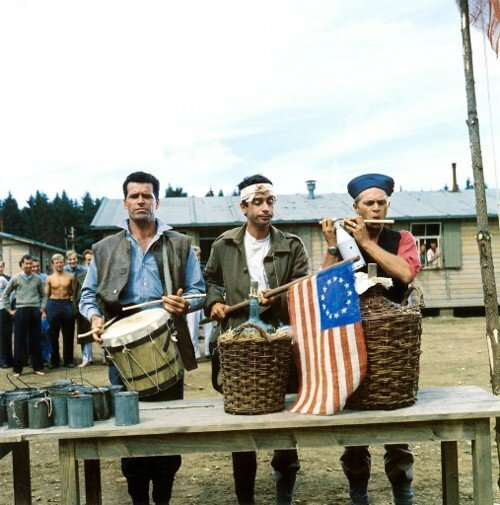 Likewise set during World War II, Arthur Hiller’s Americanization mocks individual heroism and the community spirit of the sort celebrated in The Great Escape. Garner is a cynical Lt. Commander, an adjutant and “dog robber” — i.e., the guy who will obtain by any means necessary what his superior wants — in 1944 London. His job is to keep the brass — and himself — supplied with luxury goods and pliant Englishwomen. When Garner meets Julie Andrews, a war widow and a driver in the motor pool, they first engage in a spirited debate about war and then in a meaningful relationship. Garner’s morality gets challenged when his superior (Melvyn Douglas) decides the first D-Day casualty should be a naval officer and orders his adjutant to play the part. This is not the last time Garner would play an apparently superficial guy who was deeper than he seemed. 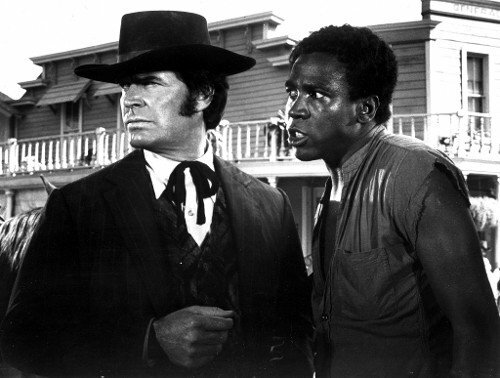 The inspiration for Quentin Tarantino’s Django Unchained, Paul Bogart’s indie Western stars Garner and Lou Gossett as grifters in 1857, when slavery is legal. Both are accomplished con men, so accomplished that Gossett (an educated freeman) sells Garner the sheriff’s horse. Presuming that by doubling up they can double their profits, they go into business together. Their most lucrative con is the one where Garner plays an impoverished slave owner looking for someone to buy his slave. After the transaction, Gossett escapes and the two split the profits. The game is to determine where the con ends and the friendship begins, and who really is the master. 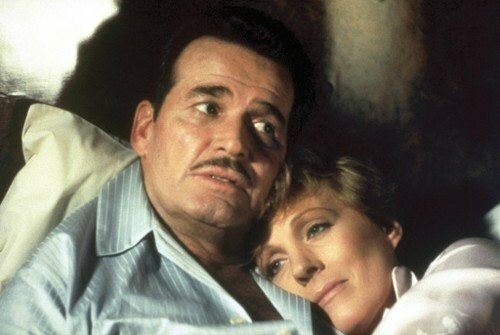 Reuniting Garner with Julie Andrews, Blake Edwards’ musical comedy stars the actor as King Marchand, a mobbed-up Chicago club owner, moll in tow, visiting Paris to check out the acts. 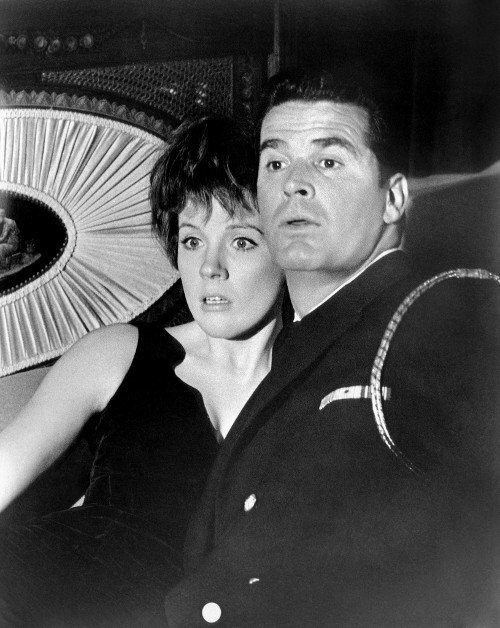 King is immediately taken by the cabaret act of a female impersonator named Victoria (Andrews), who actually is an unemployable soprano who pretends to be a man pretending to be a woman. Whatever Victoria is, she does something to King that excites him more than his moll. And if Victoria is actually Victor, then what does that make King? Garner, the man who showed the world that macho was not a component of masculinity, slowly processes both the possibility that he may be a man enamored of another man at the same time he is in denial of that possibility. It’s a marvelous, souffle-light performance that is both manly and romantic. Martin Ritt’s lighthearted romantic comedy pairs single mom Sally Field with Garner as an eccentric small-town pharmacist. He knows she’s cash-strapped, but instead of giving her a loan he gives her a bootstrap by boarding his horse at her stables and quietly encouraging friends to do so. His quiet and dryly funny performance as the guy most eloquent when nonverbally projecting his feelings earned Garner his first and only Oscar nomination as best actor. This screwball comedy in chaps inspired by Garner’s 1950s TV show stars Mel Gibson as the roguish title character in the ruffly shirt, Jodie Foster as an adventuress in taffeta, and Garner (himself the star of TV’sMaverick) as a lawman without jurisdiction or fashion statement. Like that Kenny Rogers song, the film uses poker as a metaphor for life — knowing when to hold them, when to fold them, when to walk away, and when to run are to Maverick as the four elements are to the atmosphere. Upping the ante here are the star power and satiric skills of the three leads, whose characters consistently set traps for the other two and are consistently surprised when their quarry wriggles free. To the extent that the enjoyably insubstantial Maverick is about anything, it is how we size up others at the poker table of life, how seemingly insignificant gestures are telling of character. Of the three leads, Garner has the best poker face, a Mona Lisa smile with a twinkle that could mean many things. They are two elderly people in a nursing home, the grizzled man with the honeyed voice and the blonde woman who slips in and out of dementia. To calm her, every day the man reads from a notebook the story about two young people in the 1940s: a rich city girl who falls for a working-class townie at the beach resort where she summers. 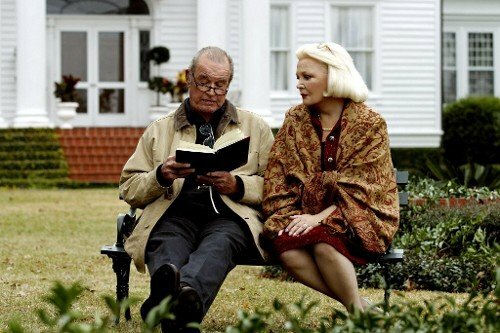 In Nick Cassavetes’ film, Garner and Gena Rowlands are the elderly couple. Ryan Gosling and Rachel McAdams are the younger pair who fall in love at first sight but must overcome many obstacles. Are they a fantasy that the elderly man has spun to pacify the blonde woman? Garner said in interviews that he was drawn to the story because in real life he fell in love at first sight with Lois, his wife of 58 years. And because he liked the sentiment of an older man committed to making a woman happy by telling and retelling her a story of a love that, against all odds, grew deep roots.